Happy New Year! 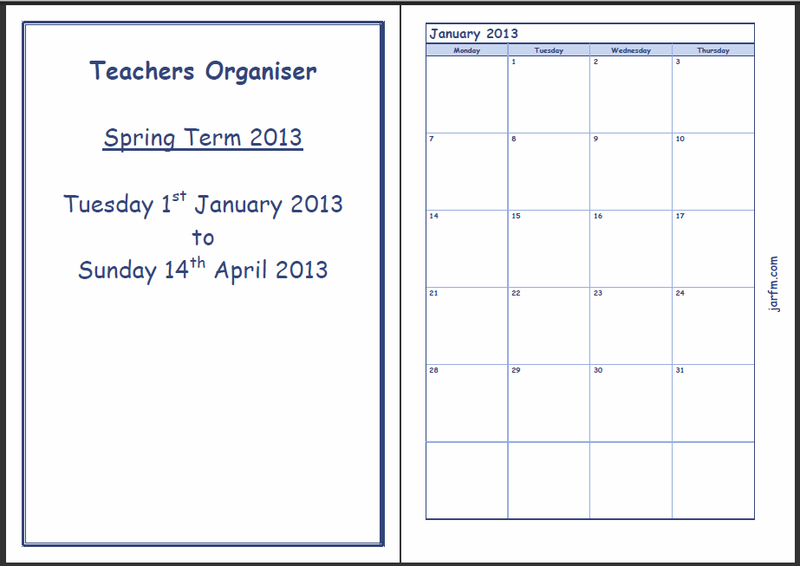 As it is the start of a brand new year I have made a set of Teacher’s Organiser pages for the Spring Term 2013 available for you to download and print. 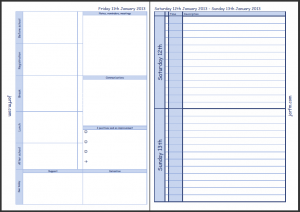 These are the newly updated pages and are put together so that all you need to do is download and print them on which ever paper you choose and you are ready to go. 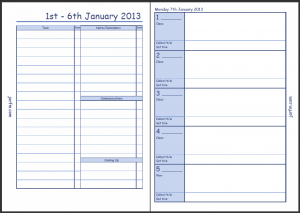 The pages are PDF’d to A4 so you can happily print them straight to A4 paper, booklet print them, or even print them directly to A5 pages if you wish. 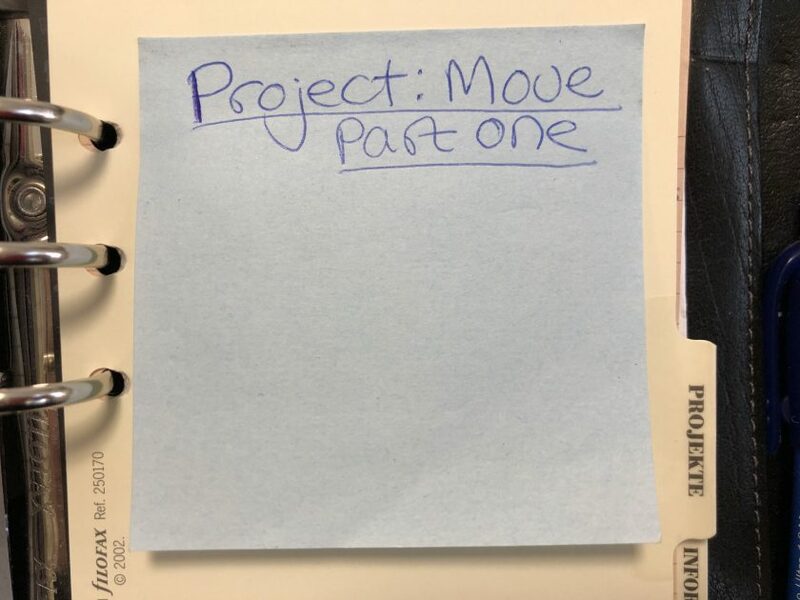 All the margins are set up so you can print them on both sides of the paper either by getting the printer to do it for you or if you need to manually do it. 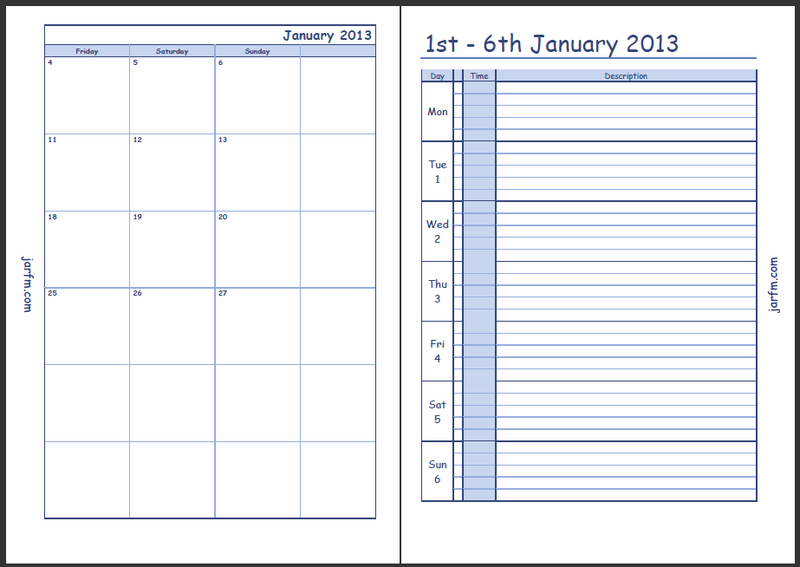 The set is for the Spring Term 2013 only – the file would be even larger if I had included the rest of the school year! 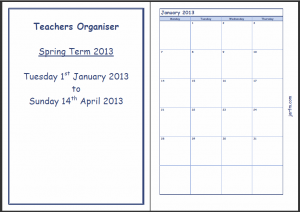 They are also based on the Essex UK 2012/2013 school calendar so those of you in other places will need to check when you have your half term and Easter holidays. 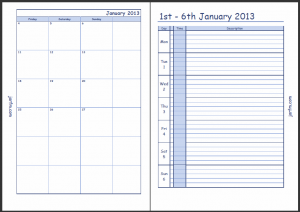 If you need slightly different holiday dates for Spring Term 2013 (January-April) please leave me a comment and I will see what I can do, further files will be added to the Files page (see the new menu item at the top of this page) as and when they are produced. 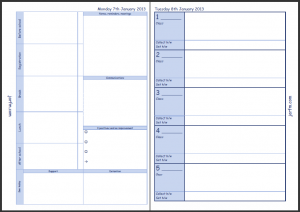 Cover & 1st page of the January calendar – month on 2 pages. 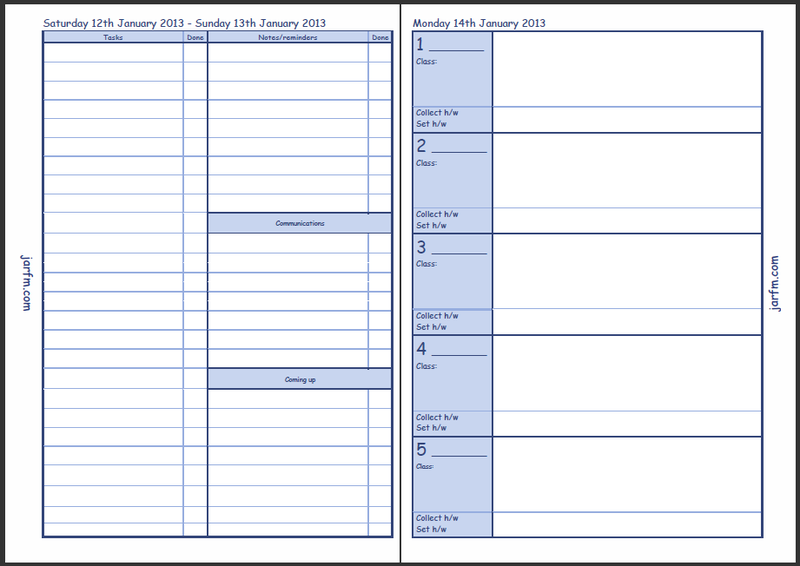 2nd part of the calendar & 1st week of week on 2 pages. 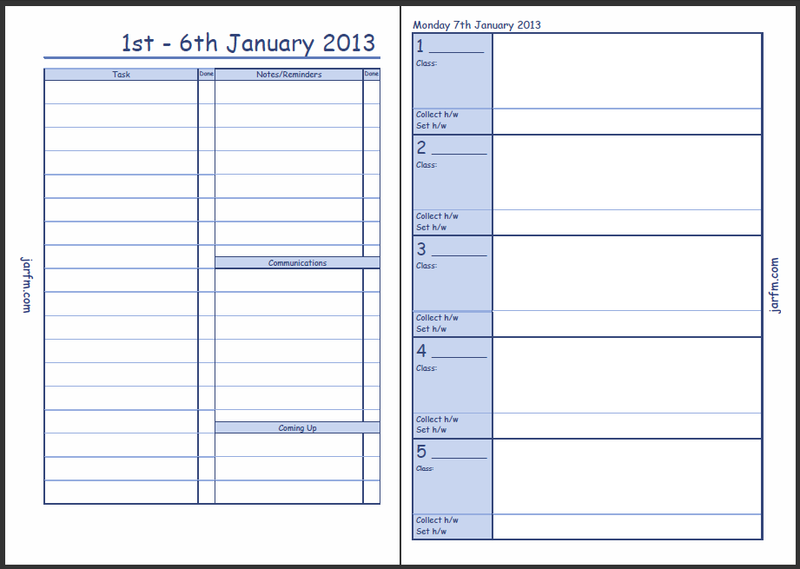 2nd page of the week on 2 pages followed by the planner pages. 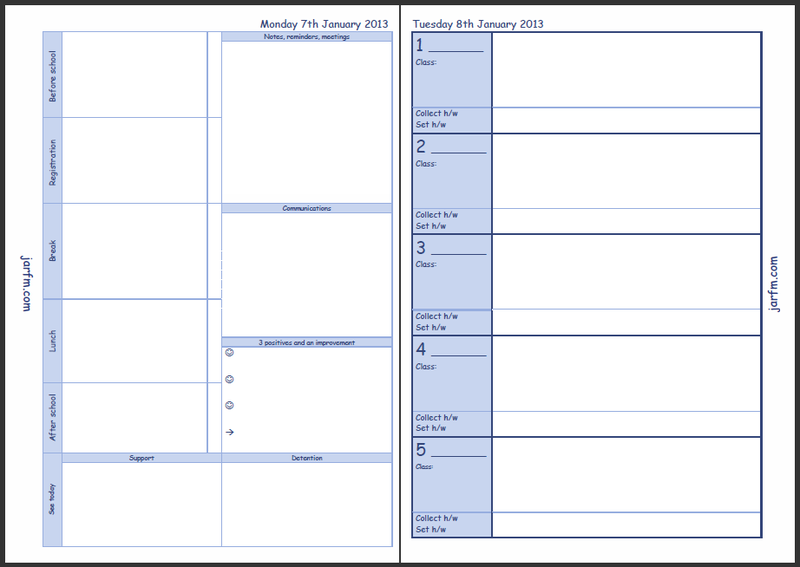 2nd page of the planner page & Tuesday’s planner page. 2nd part of Friday’s page & the weekend pages. 2nd page of the weekend & the following Monday’s planner page. I have not made an editable version available because I used several different Word and Excel files then PDF’d them and combined the PDF’s to make this one giant PDF. That is another reason why I have made it for the Spring Term and not both Spring and Summer Terms! 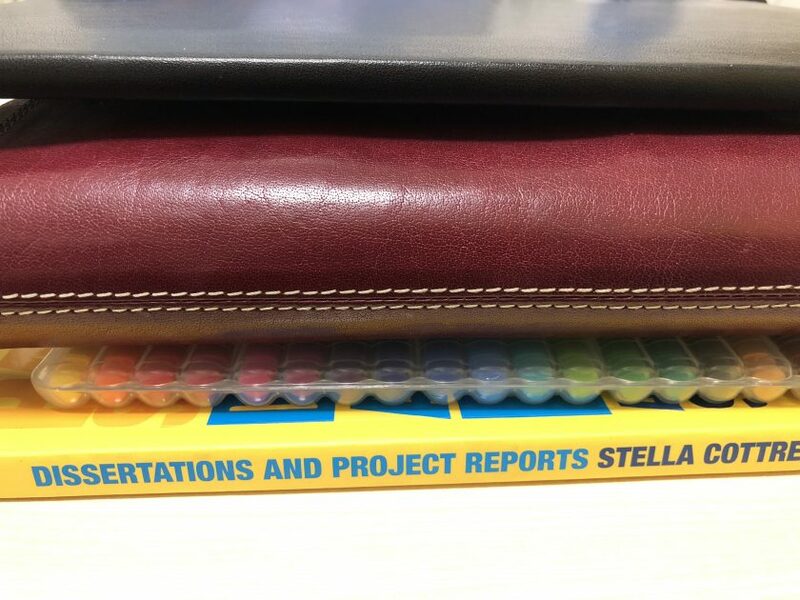 The Summer Term file will follow soon. 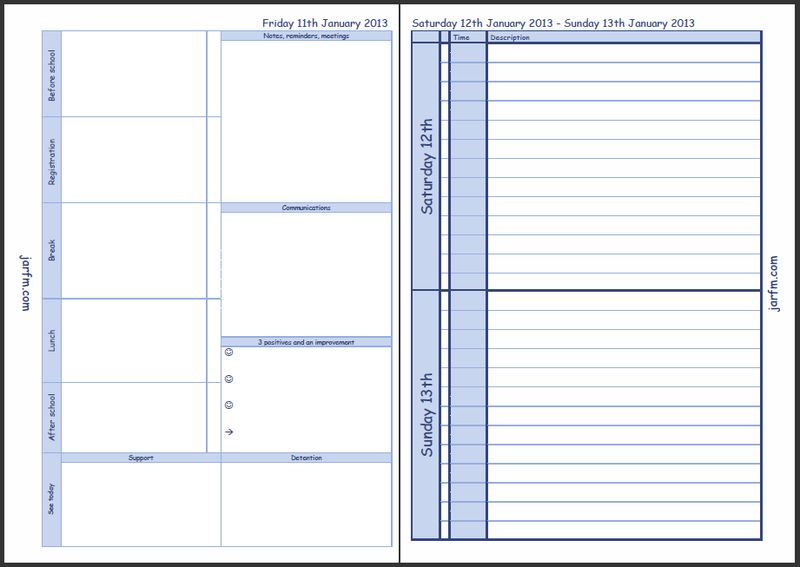 They have Enhanced Time Management Week on 2 pages for any non teaching weeks and my Teacher’s Planner pages for the teaching weeks with the weekend pages (also in Enhanced Time Management view) at the end of each teaching week. 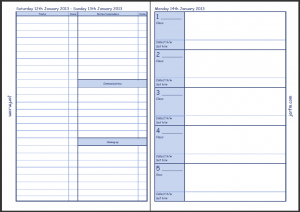 Where the teaching week doesn’t end on a Friday at Easter I have included a full week on 2 pages Enhanced Time Management view for the whole week as well, you can use the pages as you need. All the original pages that I used and tweaked to my own style are available from the Philofaxy website and were created by Steve and Ray. Ray also helped me with my Teacher’s Planner pages, particularly the mail merge code! The Philofaxt community is an amazing source of help and inspiration so if you have not checked it out already do it now! Wow! Thank you for these. I will be trying to create my own version so that I can personalise them a tad, but thank you so much for the ideas and the resource!